Happy Friday and happy first day of March! 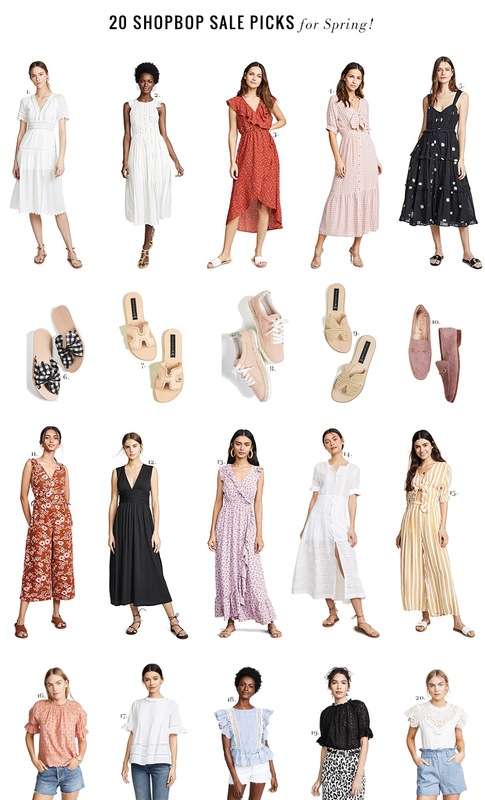 For those of you already tired of this cold Winter and looking for some pretty pieces for Spring, here I rounded-up 20 of my favourite picks from the Shopbop sale 🙂 I normally take advantage of this special event to either get some pieces I know I’ll be using non-stop (I love eyelet tops and floral dresses for Spring and Summer), stock up on basics like favourite denim and tees, or to save on an item I’ve had my eyes on (a great handbag for example). Don’t forget that you have until March 2nd to use the code GOBIG19 to get up to 25% off your purchase (includes sale items! ).